Ferrous and nonferrous metals are used in endless industries for thousands of purposes. 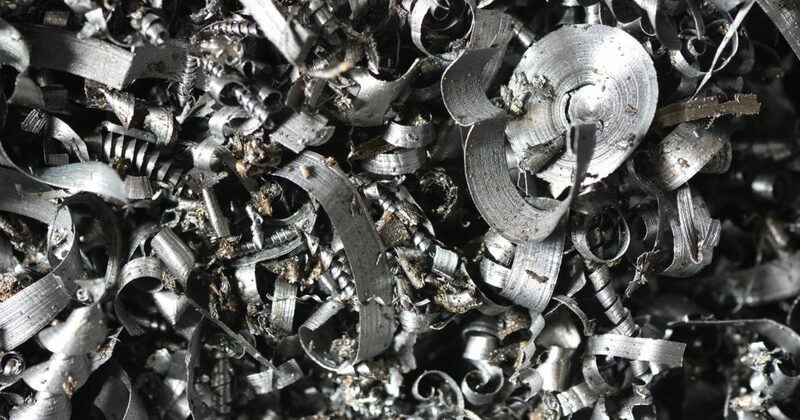 Many people wonder what the difference between ferrous metals and nonferrous metals, and why that difference means in terms of their use. If you are interested in learning more about ferrous metal and the types that exist, you are in the right place. Continue reading and learn the definitions and types of nonferrous and ferrous metals found all across the world. Simply put, ferrous metal is any metal that contains iron or steel. Things like construction scaffolding, automobiles, buildings, power tools, and more are made from ferrous metals. Carbon steel, stainless steel, cast iron, wrought iron, mild steel, and any other forms of steel and iron are examples of ferrous metals. Metal such as stainless steel are not entirely composed of iron and steel. It also contains nickel and chromium. In contrast, wrought iron is made of nearly 100 percent iron. Ferrous metal is very strong and durable and even retains magnetic properties. This is why it is used to manufacture or construct things that can resist corrosion and remain strong and stable. It is used to make everything from skyscrapers to drill bits, and more. Large-scale piping, cars, trucks, yachts, planes, construction and farming equipment, motors, industrial containers, rail roads, and more are common large-scale commodities built from ferrous metals. Smaller items include everything from kitchen knives, to power tools, electrical appliances, and more. Also simply put, nonferrous metal is metal that does not contain iron or steel compounds. Metals like copper, nickel, aluminum, brass, lead, tin, zinc, and more are all examples of nonferrous metals. Also, precious metals are nonferrous; such as gold, chromium, tungsten, silver, zirconium, mercury, cobalt, bismuth, cadmium, beryllium, and more. Nonferrous metals are used for their malleability and versatility. They also have a higher resistance to rust and corrosion because they do not contain any iron compounds. Jewelry, electrical wiring, canning, window frames, road signs, electrical fittings, pipe work, batteries, roofing, and millions of other items are made from nonferrous metal materials. One of the easiest ways to determine if something contains ferrous metal is to hold a magnet to it. If the magnet sticks, it is made with ferrous metals like iron and steel. If the magnet does not stick, then it is made mostly or entirely of nonferrous metals like copper or aluminum. If the magnet pulls slightly but does not stick or stay, it is likely that the item is made from both ferrous and nonferrous metals. This entry was posted in Ferrous and Non-Ferrous Metal and tagged Ferrous and Non-Ferrous Metal, ferrous metal recycling, ferrous nonferrous difference, metal recycling Indianapolis, recycle scrap metal for cash. Bookmark the permalink.